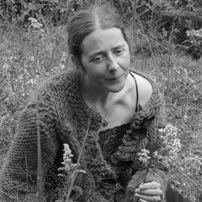 Gillian Cummings’ poems have appeared in Boulevard, Colorado Review, The Cream City Review, Denver Quarterly, The Laurel Review, The Massachusetts Review and other journals. She is the author of two chapbooks, Spirits of the Humid Cloud (dancing girl press, 2012) and Petals as an Offering in Darkness,(Finishing Line Press, forthcoming March 2014). A graduate of Sarah Lawrence College’s MFA program, she lives in Greenburgh, New York and teaches poetry workshops at New York Presbyterian Hospital. She is also a visual artist.